A Black Caracara juvenile watches the camp from the safety of the trees. 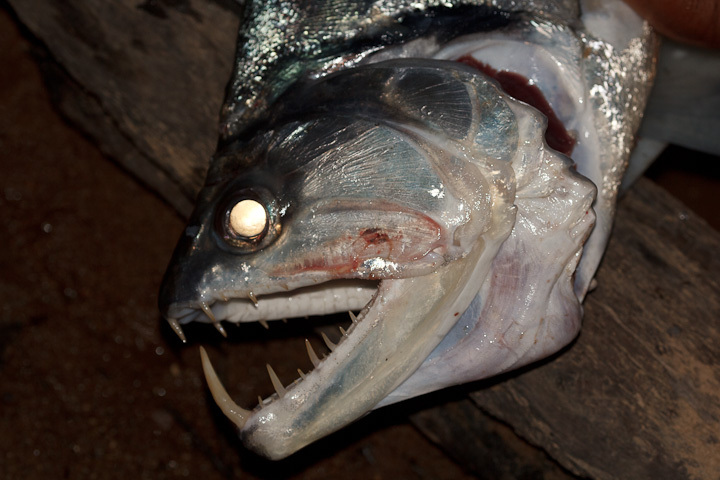 The juveniles can be recognized by lighter facial skin and black spotting on the undertail coverts. Remember that Payara head we had left over from our meal? Well, we found a use for it! We left it out for the Black Caracara (Daptrius ater) a small riverine caracara that often scavenges at human settlements and temporary camps. 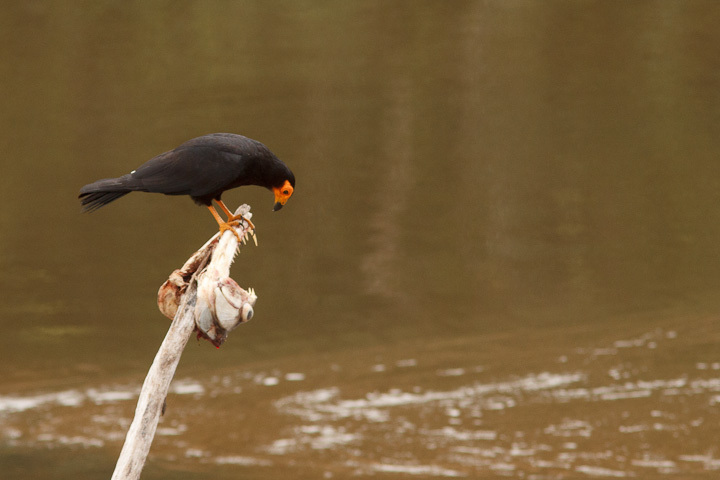 This behaviour seems pretty ingrained, and most times when we stopped along the river the caracaras would drop by in order to check whether we were cleaning fish or discarding waste. And after some significant feeding! This head is now looking pretty grotesque. 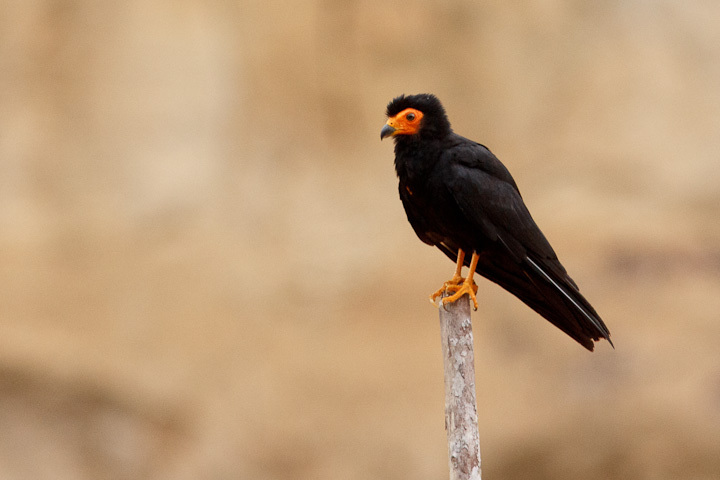 Black Caracaras are small raptors with light wing loading and graceful flight. They are both generalist predators and scavengers (and have been reported to fish! 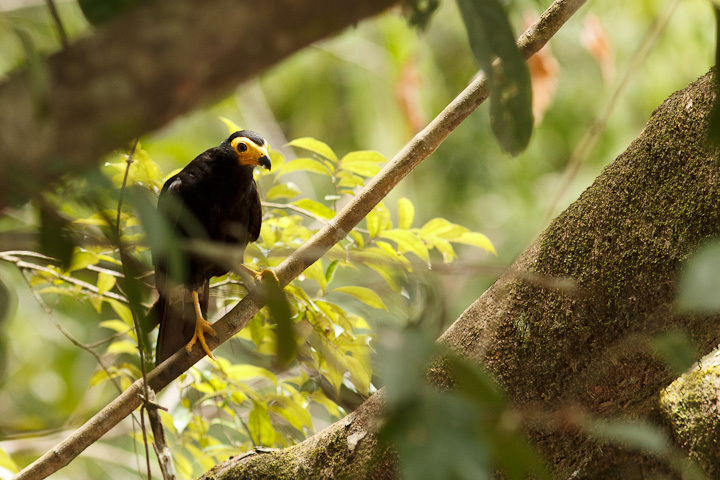 ), and were once considered closely related to Ibycter americanus (Red-throated Caracaras). 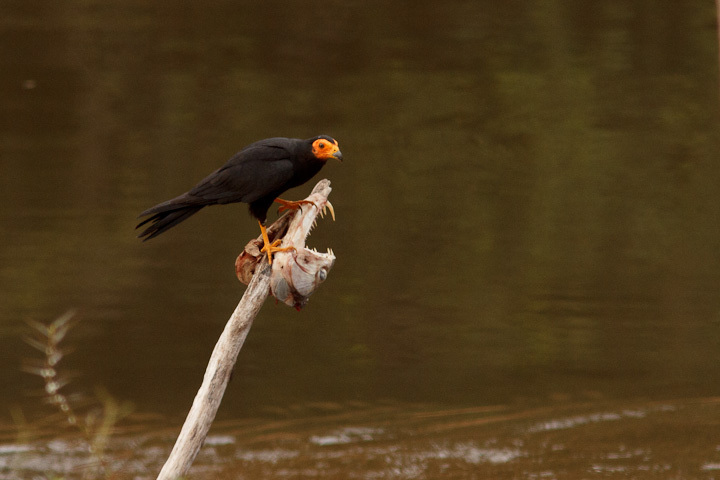 The Black Caracara is also associated with tapirs and capybaras, picking ectoparasites off of their skin. These seem to be the only animals that tolerate these birds, as most others chase them away (they are significant nest predators of other birds, such as oropendolas and caciques). Nesting behaviour is virtually unknown in this species, with only a single reported nest being observed. I quizzed the locals I met on this trip and met very few who claimed to have seen a nest. Watching these observant and seemingly intelligent birds is a true joy, and was very inspiring. The relative lack of study of these birds leads me to contemplate studying them in the future. The rivers of this region would be a great base of operations for comparative study of four species of caracara. 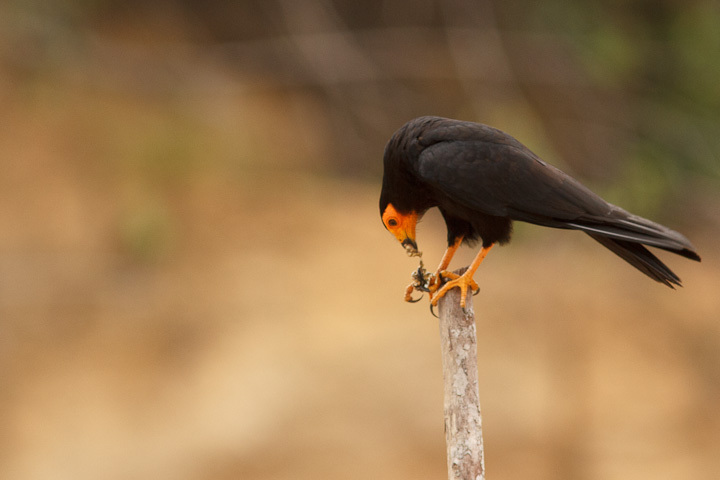 These caracaras seem to have a small crest that they erect at certain times.